At first, it seems a wonderful idea: you picture pulling crackers with your best friends, a huge roasted turkey and drunkenly slurring along to Mariah Carey, arm in arm. But the time inevitably comes where you’re sweating over your Oak House hobs for hours (coincidentally with only two actually working) and eventually presenting some measly sprouts and burnt pigs in blankets to your flatmates’ great disappointment. 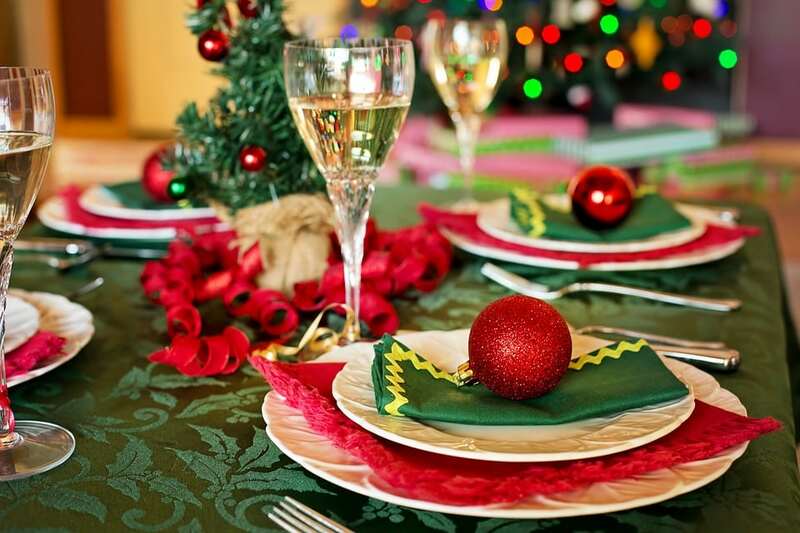 So, to avoid this disaster and ensure that you still get to enjoy Christmas a few weeks early with your home away from home, we’ve come up with our top tips for an easy, student budget Christmas dinner that won’t burn your halls (and your friendships) down. Don’t buy a Turkey. I know, it is Christmas, you want a Turkey. But chicken is so much cheaper and easier to cook. You’re much less likely to end up with a sad, dry piece of meat on your plate. Ask people what they actually want and make a list. There’s no point spending time and money cooking a cauliflower cheese if only one person is going to eat it. Buy some tin foil baking trays. Plates and cutlery can be easily washed, but trust me – roasting pigs in blankets can ruin your baking trays. Plus, with tin foil ones, you don’t have to spend hours scrubbing away whilst everyone else is sipping on mulled wine, listening to Michael Bublé. Leftover Christmas wrapping paper makes a great festive table cloth that can swiftly fold away all the gravy stains and crumbs. If you have access to two kitchens, perfect! Divide up the cooking. But if not, it pays off to cook some elements of your dinner earlier in the day and give them a quick microwave re-heat before serving instead of dealing with everything at once. And trust me, no one will notice. ‘Christmas punch’ – aka red wine, fruit juice, and some cinnamon and orange slices goes a lot further and is a lot cheaper than any other alcohol. Does anyone actually really like Christmas pudding? Much more likely that everyone will enjoy a few mince pies or a chocolate log and it saves you the effort of steaming it. Or is it baking it? Who even knows? Who even cares? At the end of the day, the most important thing is to enjoy it! If you end up with charcoal rather than a feast, who’s bothered? Just enjoy spending time with your friends, celebrate the end of a long semester and look forward to the perfect dinner cooked by, let’s admit it, those much more capable than you on the 25th.